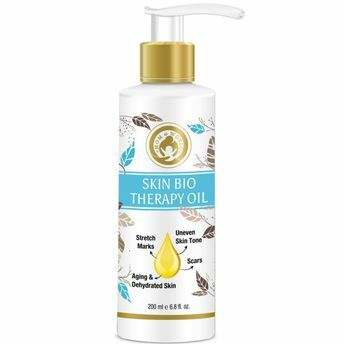 Mom & World Skin Bio Therapy Oil is a specialist skincare product formulated to help improve the appearance of pregnancy stretch marks, uneven skin tone, scars, ageing and dehydrated skin. It's unique formulation combines pure cold pressed oils rich in Vitamins to promote the formation of new collagen, assisting in skin renewal and increasing elasticity. 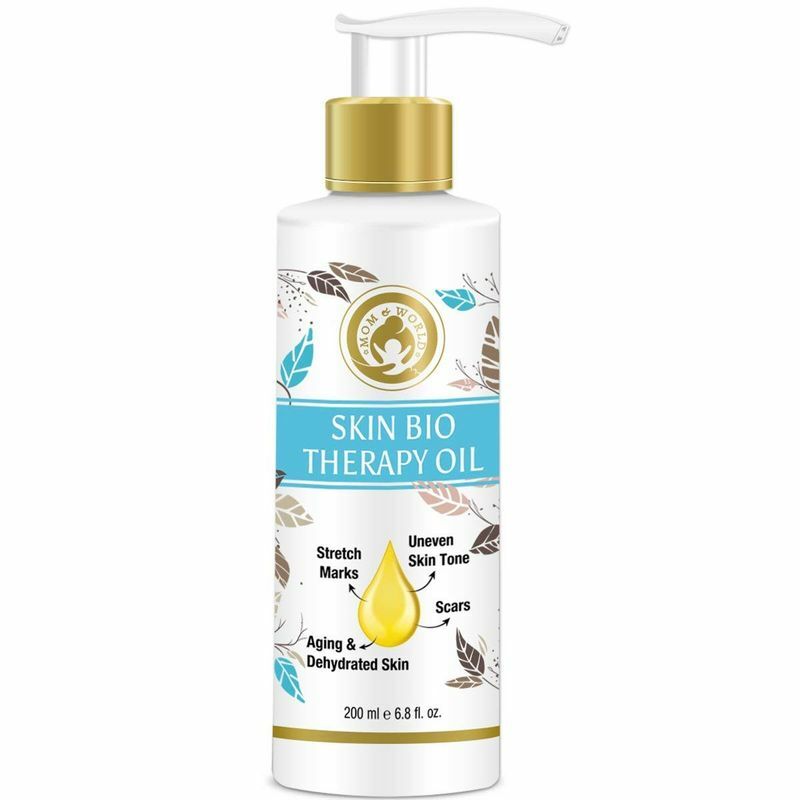 This Bio Therapy Oil is a combination of 9 powerful oils such as Argan Oil that is highly nourishing for your skin Coconut, Olive, Castor Oils that help encourage skin's natural elasticity and hydrates dry skin. Geranium Oil in it helps tighten facial skin and slows down the effects of ageing, and excellent skin moisturizing Cocoa Seed Butter. Cocoa Seed Butter increases your skin's natural elasticity, providing comfort to your stretching skin and also helps to improve skin tone. This all-natural luxurious Bio Therapy oil nurtures your entire body and helps in moisturizing aging and dehydrated skin. With almond oil for stretch marks which is known to soften skin and prevent scarring, it is wonderful for regular moisturizing in the mornings, evenings, or anytime. Explore the entire range of Anti-Stretch Mark Creams available on Nykaa. Shop more Mom & World products here.You can browse through the complete world of Mom & World Anti-Stretch Mark Creams .